My name is Michelle Van Allen. I am a mom of four and a dog lover. 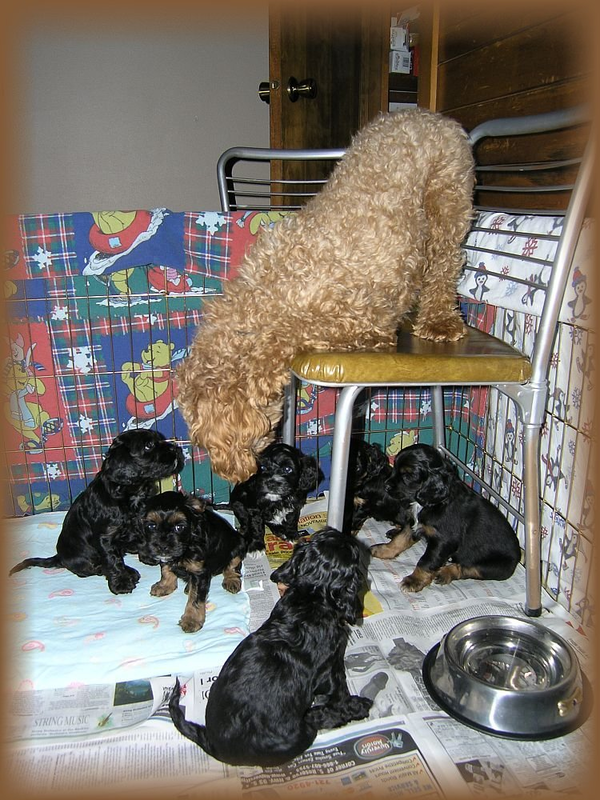 When I was a little girl I was the owner of a charcoal black cockapoo. Her name was “Char” after her color. Her manner was affectionate. Her devotion was always counted upon. 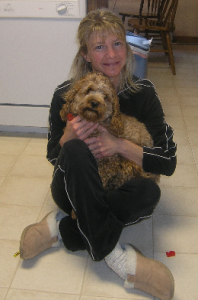 Having had fond memories of my dear pet, I hoped someday to again be the owner and master of another cockapoo. 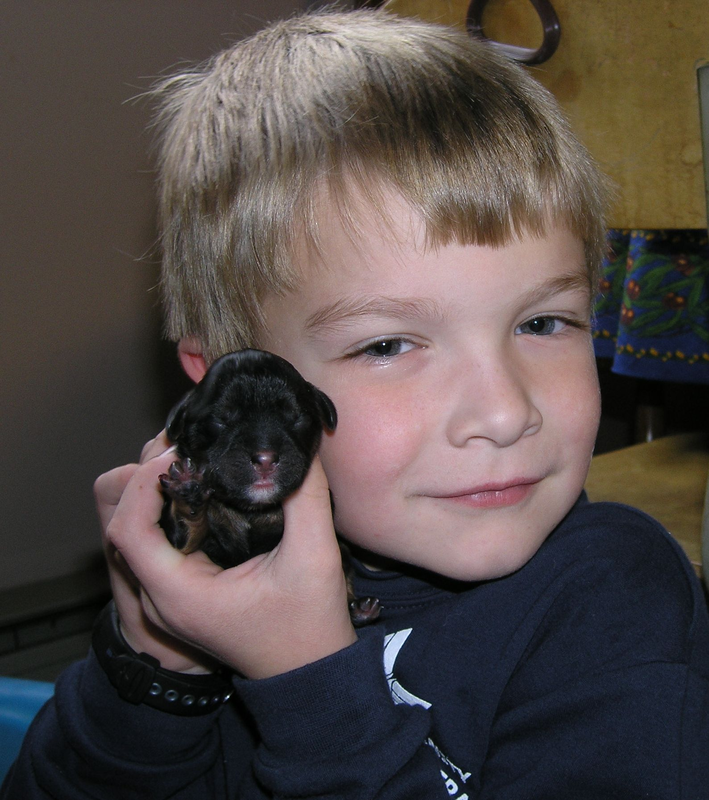 In spring of 2006 our family set out to find a family pet with Abby, our second oldest, in mind. We surprised Abby with a beautiful “red” cockapoo. 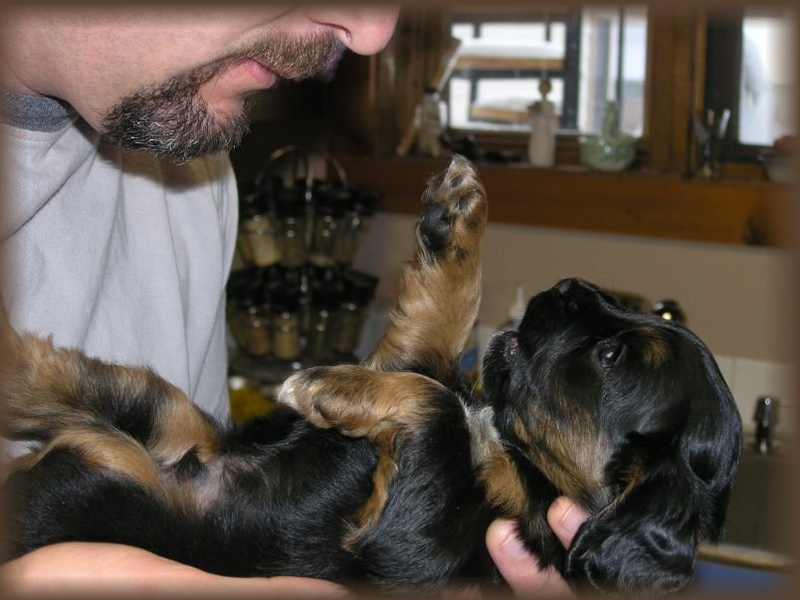 Our then 8 year old was speechless and tearful when we placed the puppy in her arms and declared this was hers. Since that time our love for the breed of cockapoos has grown even stronger. Please let me know when the litter of cockapoos is available I am interested in a female. I live in Missoula. I had to put down my 15 year old cockapoo last year. I really love this breed. Hi there. Your next litter in the Fall, what color will they be? Also, how much are you selling your puppies for? Thanks!